A view of Judy Baca and mural makers meeting at the 1940s section titled David Gonzalez in progress. The California State University, Northridge Art Galleries, in partnership with the Getty’s initiative “Pacific Standard Time: LA/LA,” will be displaying works by Judith F. Baca — a world-renowned painter, muralist and CSUN alumna — in a free exhibition open to the public this fall. Beginning on Saturday, Oct. 14, and continuing through Dec. 16, “Judith F. Baca’s Experimentations in Collaboration and Concrete,” curated by CSUN art history professor Mario Ontiveros, will highlight the collaborative processes and aesthetic innovations central to Baca’s “The Great Wall of Los Angeles,” — a 2,754-foot-long mural that runs along a concrete wall of the Tujunga Flood Control Channel. Painted in the late 1970s over the course of five summers, “The Great Wall of Los Angeles,” located at 12900 Oxnard St. in North Hollywood, is a collaboration between Baca and the Los Angeles community — with participation from hundreds of multicultural, court-appointed youth. The mural features the talents of local artists, oral historians, ethnologists, scholars and community members to capture the multicultural history of California from pre-history through the 1950s. Its panels include scenes of civil rights activists, native peoples, and even Holocaust survivors living in LA. In addition to “The Great Wall of Los Angeles,” there will be several other works on display, including Baca’s first portable mural depicting women as unifiers of the community. 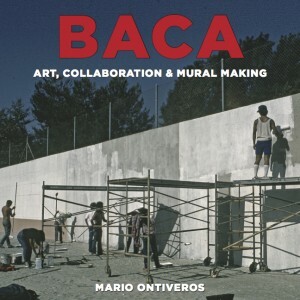 “BACA: Art, Collaboration & Mural Making,” a hardcover, 240-page book, authored by Ontiveros, with more than 350 full-color images and contributions from scholars across the nation, will be available for purchase as a companion to the exhibition. 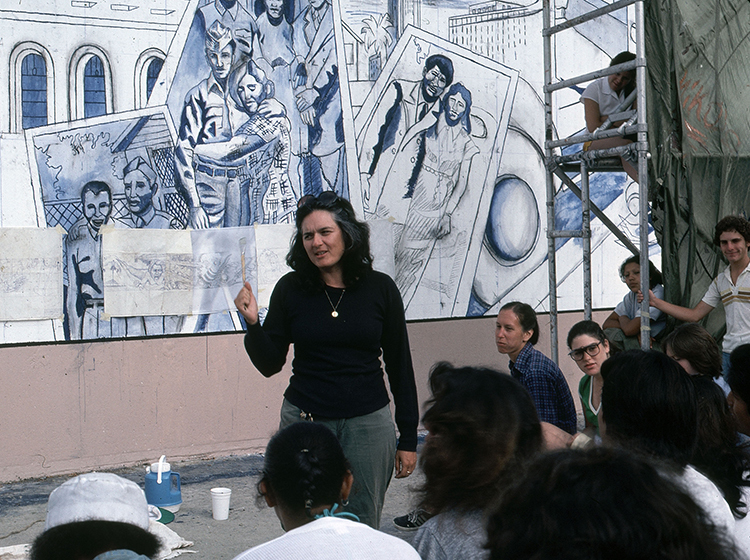 As she painted her first murals in the barrios of LA in the 1970s, Baca became known as “the mural lady.” She soon won worldwide attention and acclaim for painting the city’s urban freeways for the 1984 Summer Olympics. Her work, “Las Tres Marias,” is included in the Smithsonian Institution’s permanent collection. “Pacific Standard Time: LA/LA” is a far-reaching exploration of Latin American and Latino art in dialogue with Los Angeles at more than 70 cultural institutions across Southern California. Pacific Standard Time is an initiative of the Getty.